The splash back is back. | House by the water. The splash back is back. I’m going to call the overall style of the house “modern Australian with some earthiness”! Here is the ever-growing list of beautiful options. Don’t get too excited – you can only pick one. A pretty glass tile, looking more blue than grey here. By Molly Frey Design. 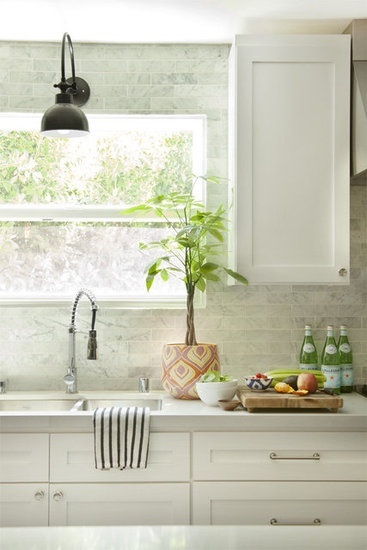 Maybe not subway tile shape, but the colour and shine are gorgeous. From Jenna Sue Design. I can hear the builder/tilers groaning already. From Myaree Ceramics. Here’s how that might look in the kitchen. 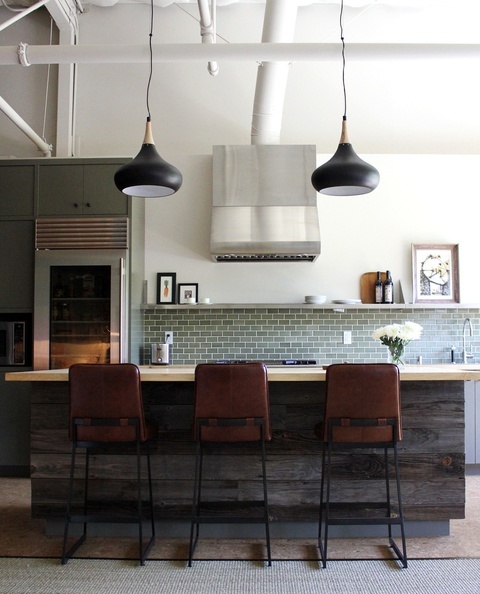 Picture from: Casa Sugar, design by Amber Interiors. 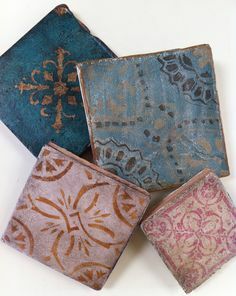 I adore the muted colours of these hand painted terra cotta tiles. Photo from KB Resource. 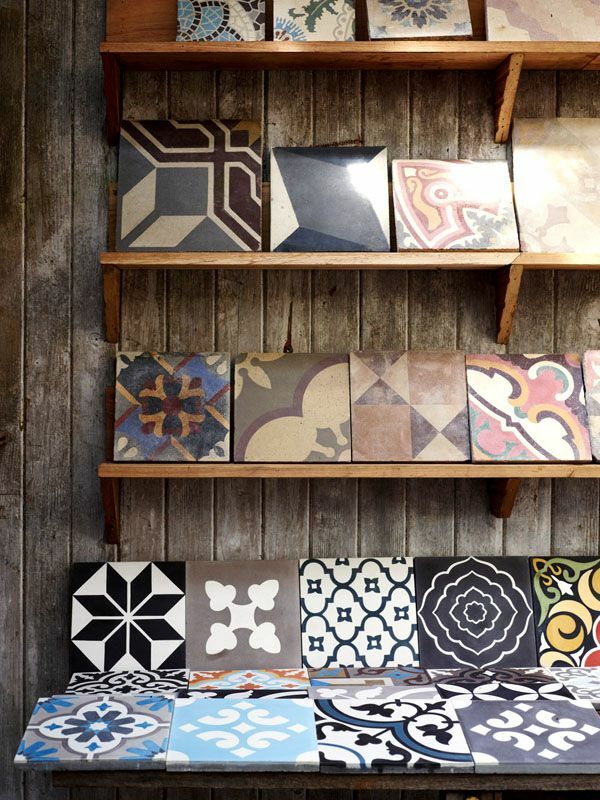 As assortment of tiles from Jantana Interiors. Photo from The Design Files. The detail is gorgeous, but may be too delicate for the kitchen? Picture source: Laurence Pidgeon. 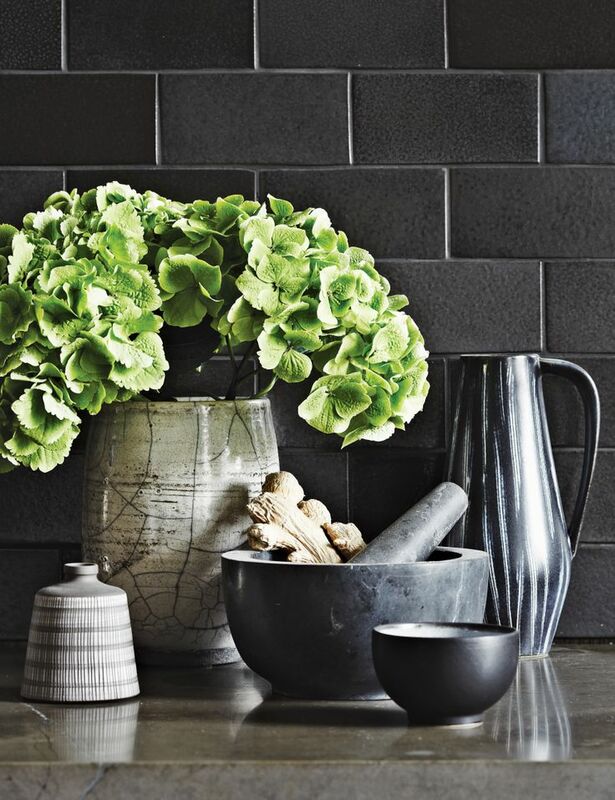 Here it’s greenish grey, but the key is the texture of the tile and the variation in colour. Photo from Dwell. Black must be in. Looks glam with grey and silver. Picture source: Dwell. 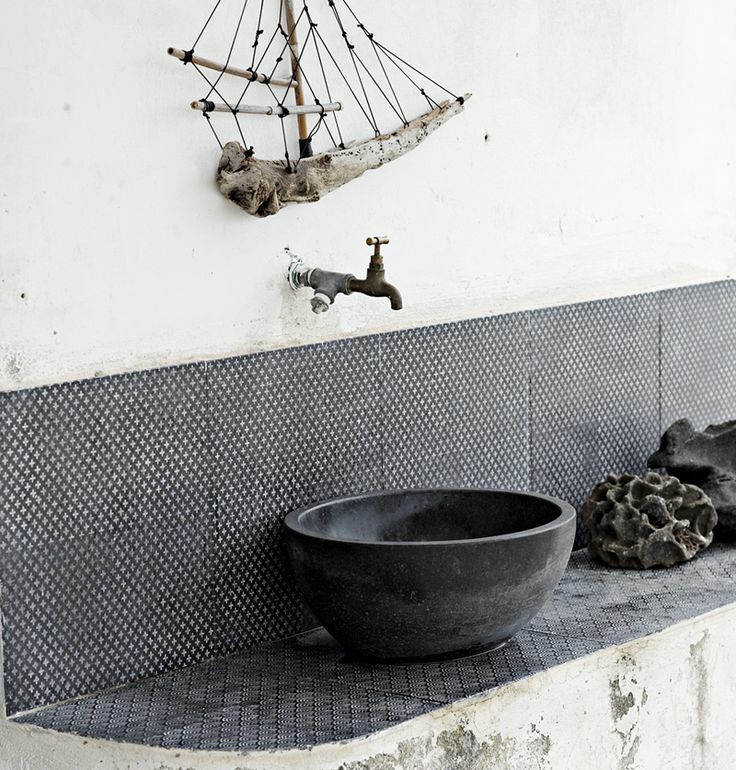 Small black (or grey or blue) tile. 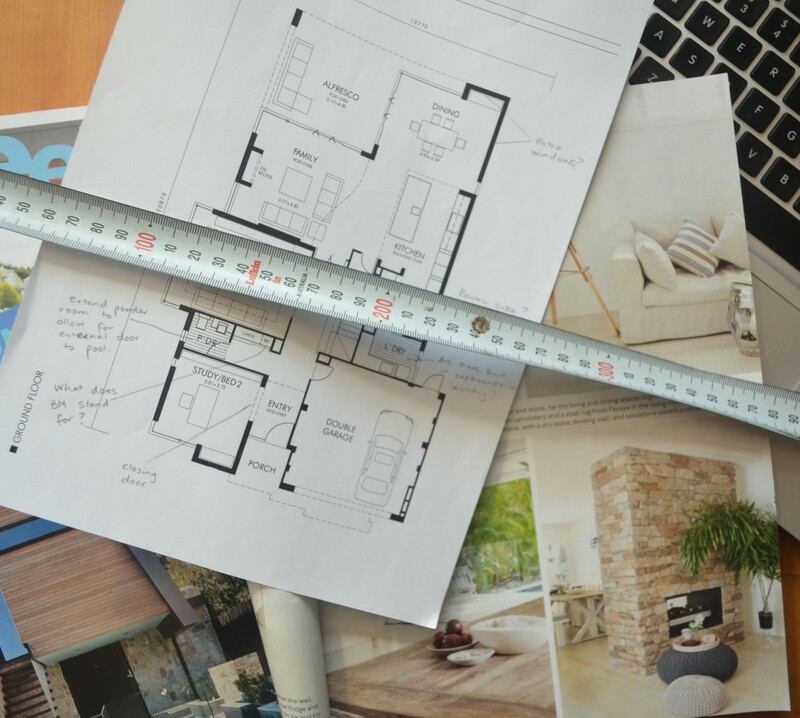 Picture from The Design Chaser. Just right for the indecisive, like me! By Laurence Pidgeon. 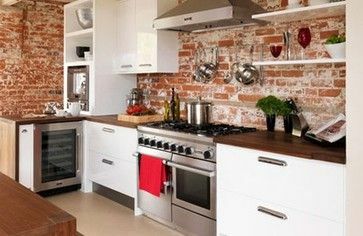 Exposed brick…. Oh, OK, it’s not real. It’s wallpaper, therefore it probably needs glass over the top to be suitable as a splash back. Did I fool you? Photo via Houzz. 6. None of the above. How about something a bit different? Hmm, choosing the right picture could take me a year. Picture source: Urzadzamy PL. 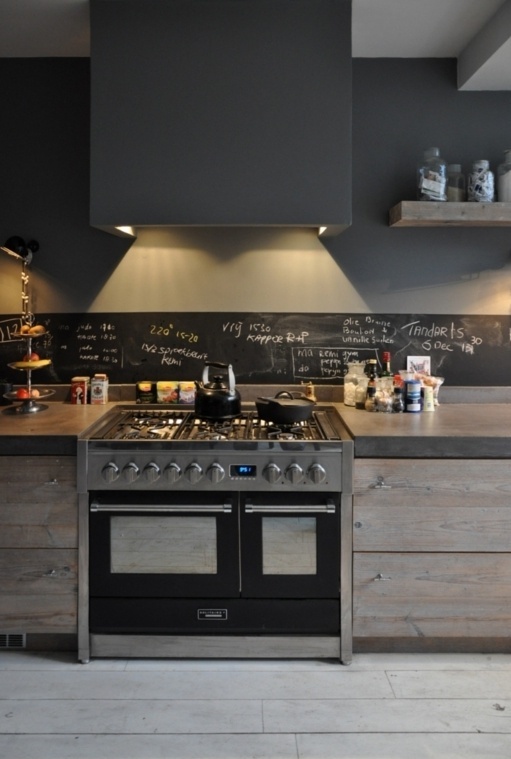 Black board splash back. From The Design Chaser. How very “Mandurah”! But, no dolphins or crabs are allowed in my house. By New Ravenna. So go on, pick your favourite. And add a comment if you feel compelled. Thank you. P.S. 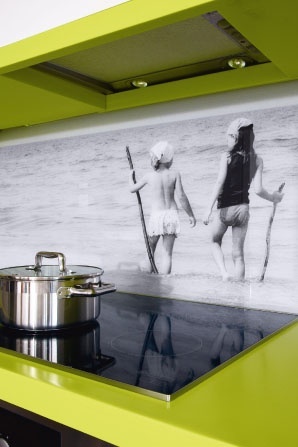 If that is not enough splash backs for you, check out my splash back file in Pinterest. I like option 2, the Molly Frey design. 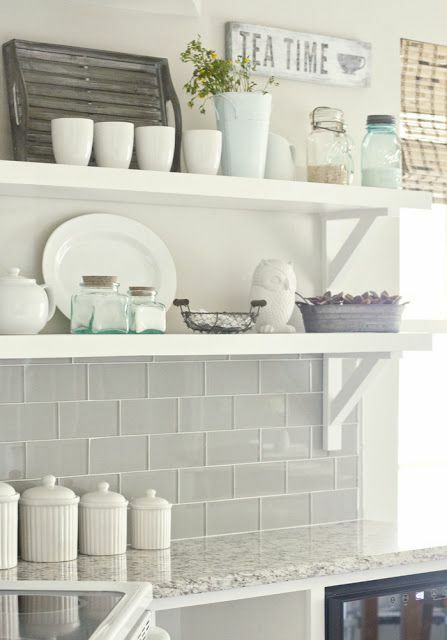 Really comes down to your own look but I do like the first couple of images – glass tiles. Ooh they are lovely. I’m getting where you are heading now. Order a box and ship them back here. If nothing else they could well become a special little feature or insert amongst something more simple/earthy…..a line against the work bench before something complimentary above. There is something wrong in the state of WA. My vote (for No 2) has not registered. I demand a recount. Maybe something to do with my multiple votes!! There are cookies to guide you not to vote twice. Did you at least get to register one vote? My favourite is number 4, followed closely by the picture from ‘Casa Sugar’. 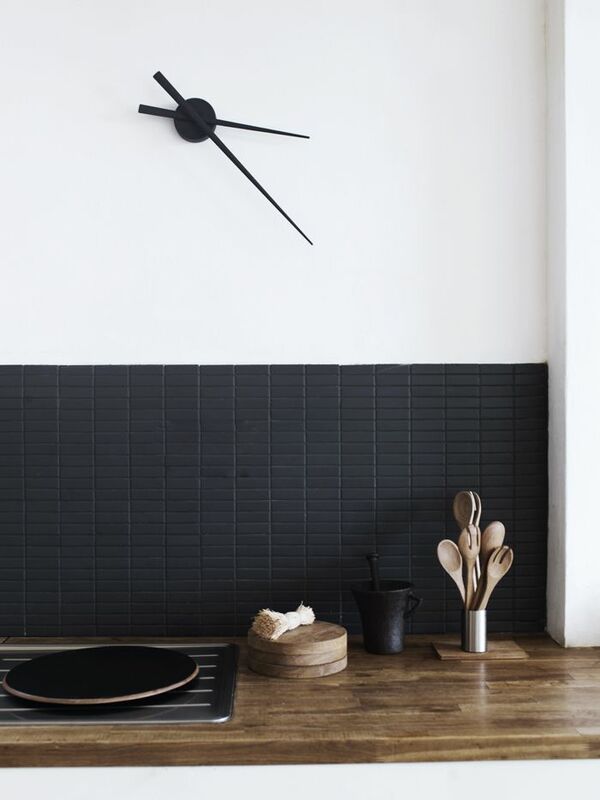 Not keen on heavily patterned, ‘busy’ tiles in the kitchen as I suspect you’d tire of them after a while. Once again, and I know this might sound boring, but I’m all for neutral backgrounds enhanced by splashes of moveable and changeable colour in accessories. 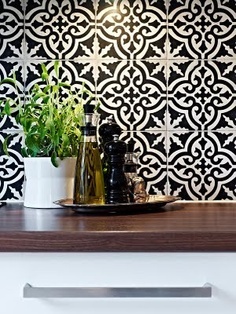 Although, having said that, a few of those beautiful handpainted tiles in one small area might look beautiful. Love the ‘Modern Australian with a touch of Earthiness’ description. How fun! 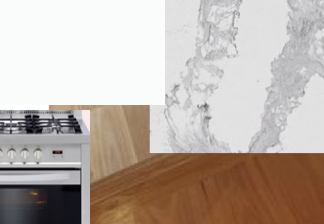 I love all your options, so whichever you choose you won’t go wrong… I noticed your house is taking on a neutral, modern theme with lots of white and gray that is warmed up with wood flooring and accents — great look! 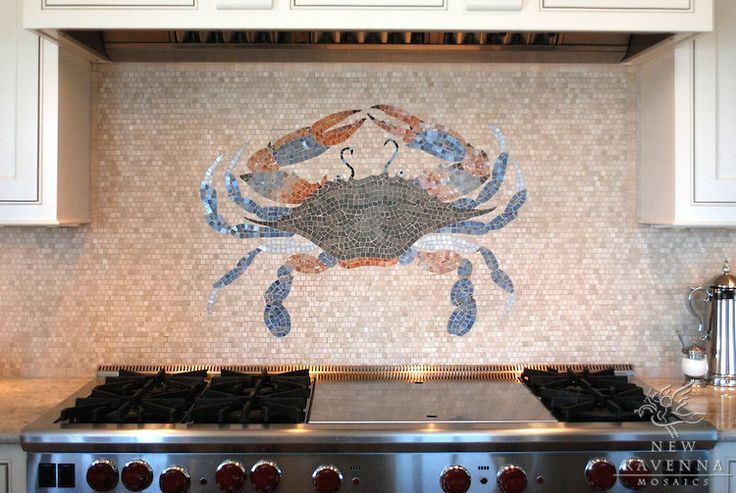 While I love glass tile, my personal opinion is that it’s one of those trends may be outdated in 10-15 years.. 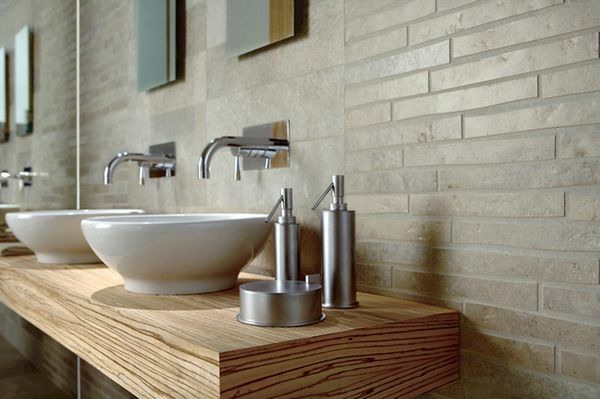 However, stone/ceramic/porcelain, such as options 2 and 4, look great in any style home in any decade! 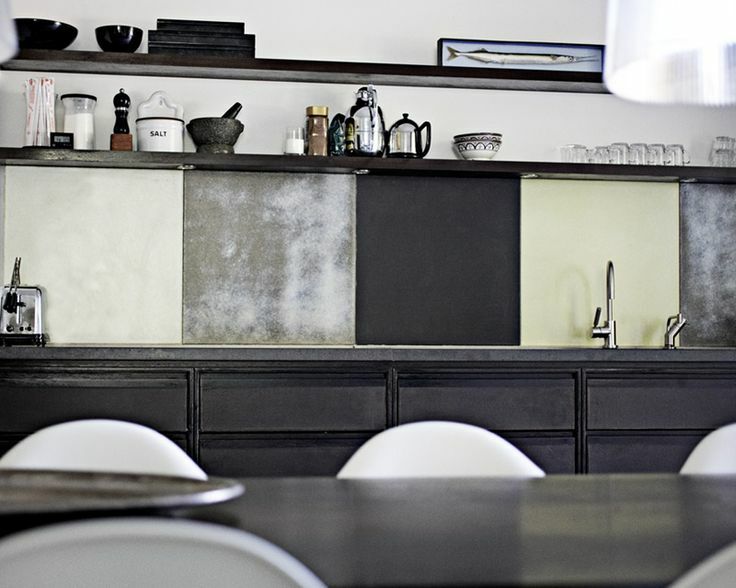 Those are all excellent splash backs! I had a hard time choosing which one I liked the best. I love 3 and 2- hand painted terra cotta and stone look. Why have economical sensible when you can have more exclusive /individual?? Also living in North Fitzroy surrounded by cafes , quite liked the novel blackboard -you could write up the days menu to tantalize the family’s tastebuds! 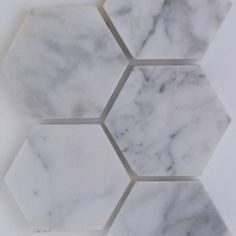 Not sure whether they’d be great for a splashback but we are opting for white hexagonal tiles (no2) on the bathroom floor with warm grey grout. Wall tiles will probably end up being bumpy vintage metro style – saying that I am a sucker for a hint of marble! Looks like you have great taste! 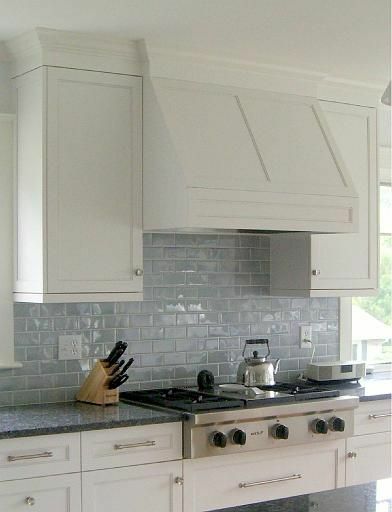 I picked the stone look, but also love the glass tile in grey though I prefer the beveled style like the first pic. There are so many options. I found tiles the hardest of all- matching the style/colour to everything else. Good luck! I’m glad you pointed out the difference in style. I hadn’t noticed, but I agree it looks better. Now I can sound knowledgable when I ask for the “beveled” style of grouting! Pingback: Building, post by post. | House by the water. Pingback: Reader vote: next week’s post. | House by the water. Hi Jess, This photo is sourced from The Design Chaser. The link is in my blog post.